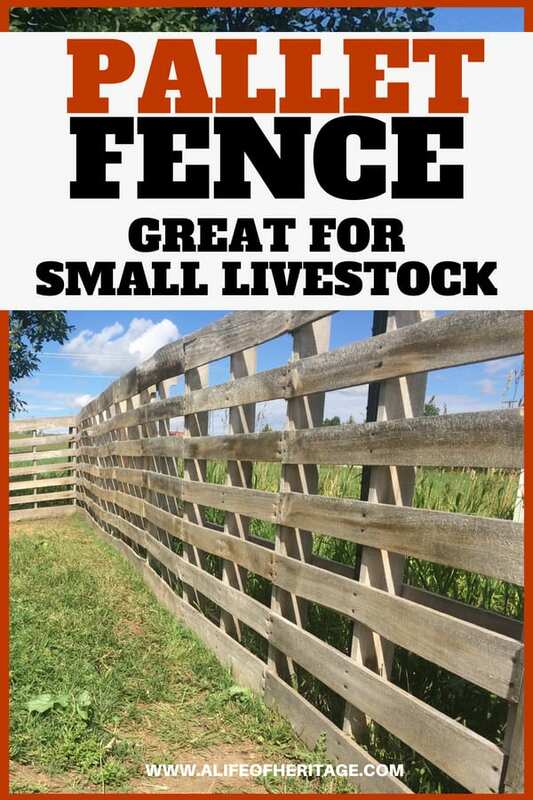 I’m excited to talk to you about the 6 reasons that a pallet fence makes the best fence for small livestock! 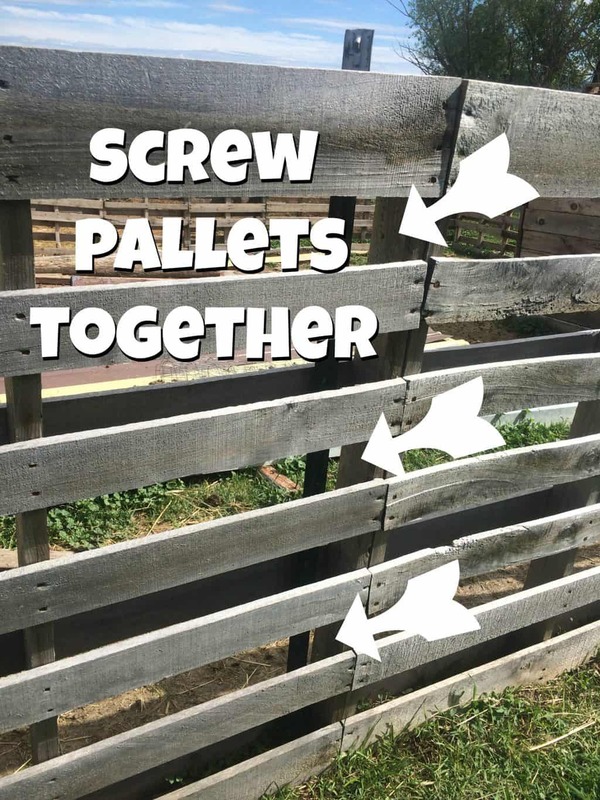 Below you will find pictures and instructions on how the pallet fence was built. Also, please enjoy all of the other resources on my Raising Goats resource page. 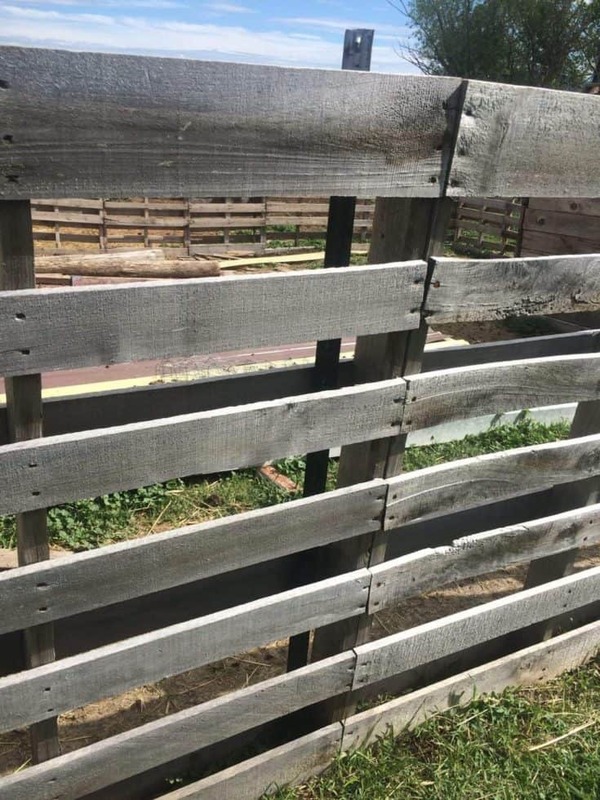 I have come to love the pallet fence we built for containing our goats. 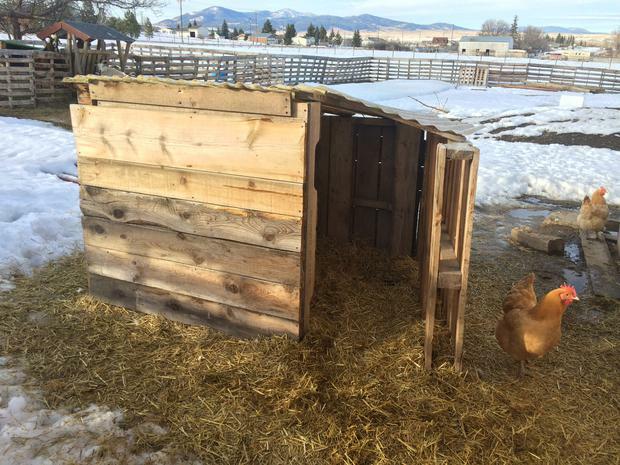 For the most part, it keeps in our chickens as well, although a few do have to test the boundaries and fly over. 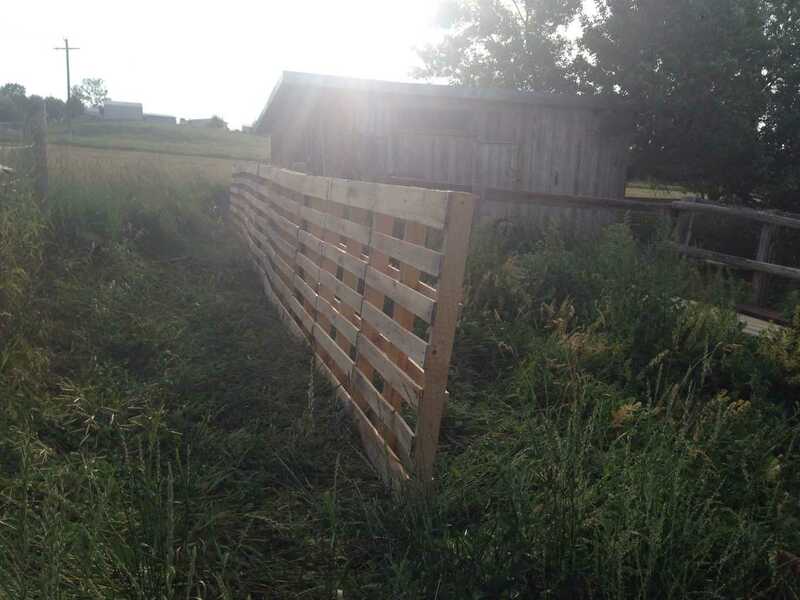 Here are a few reasons that I think pallet fencing makes the best fence for small livestock! FREE. Pallets can usually be obtained for free. At least in our neck of the woods. FIXABLE. 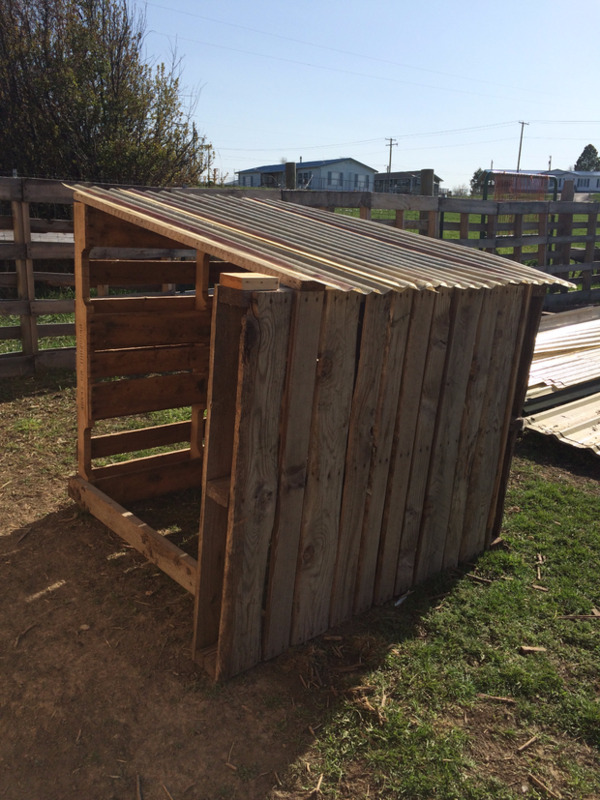 If a goat were to bash into a board and break it or if a fragile board were to break when you crawled over, there are always more pallet boards to replace the broken ones. SIMPLE. 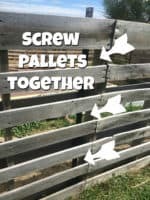 It is incredibly easy to screw the pallets together and also to take them apart. Which works great when you need to clean the pen with a tractor. STURDY. 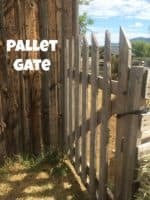 Pallets are strong and were originally made to hold loads of weight, a goat standing on a board to look over doesn’t faze it a bit. NON-PERMANENT. 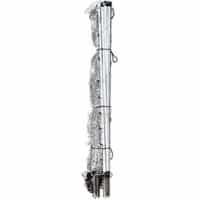 The steel posts are very easy to remove. So if you don’t quite like it, move it around until you do! 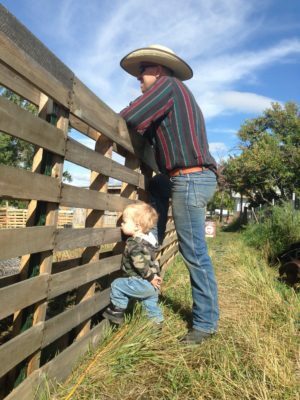 You can find a lot of articles here on “A Life of Heritage” that will teach you about goat care and be sure to check out The Goat Health, Information and Profit Bundle–it’s full of to-do lists, checklists, record keeping sheets, and resource pages that will get your new (or old) goat herd off to a terrific start! 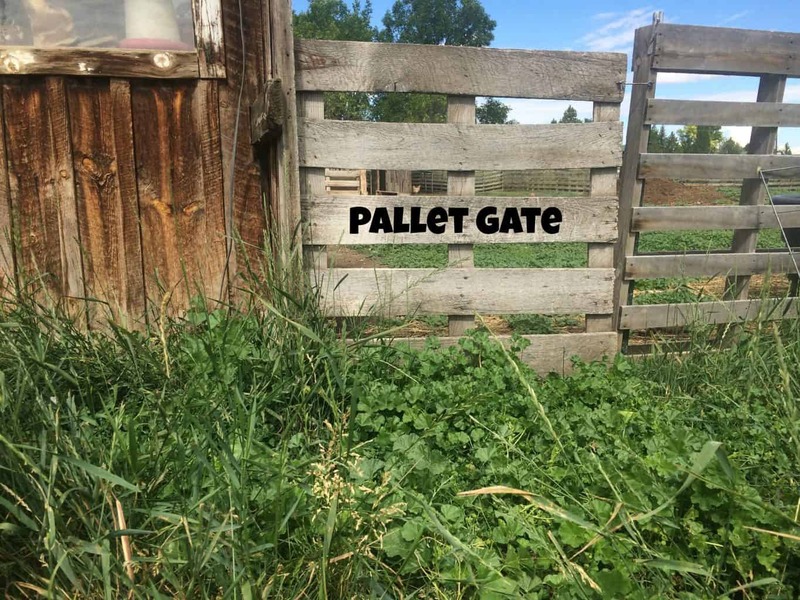 Locate pallets We were given three or more huge piles of pallets from some friends who buy and sell feed in bulk. 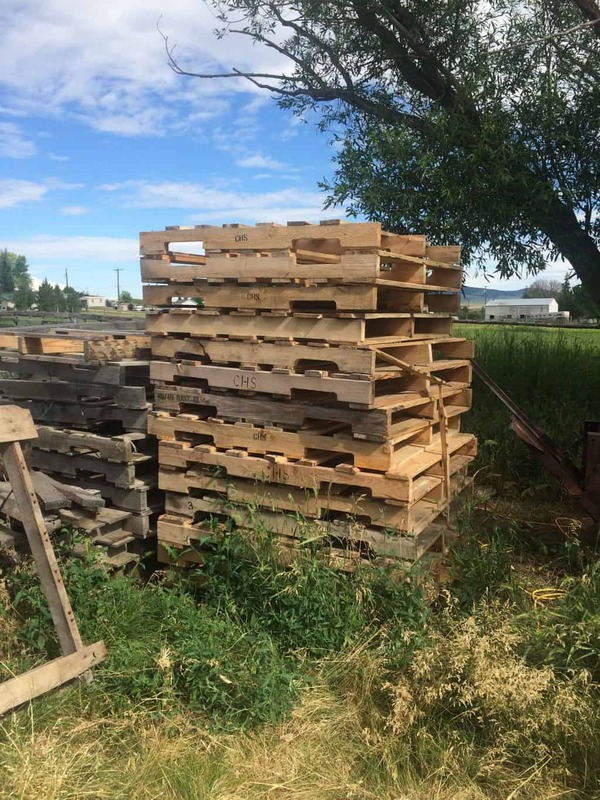 So all of my pallets were the same size. Having them all the same size really makes a difference in ease of putting them together and how it will look in the end. I also pick up the discarded pallets from the feed stores. Buy or gather steal posts. 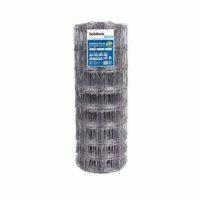 You will want to pound in steel posts every 2 or three pallets apart. 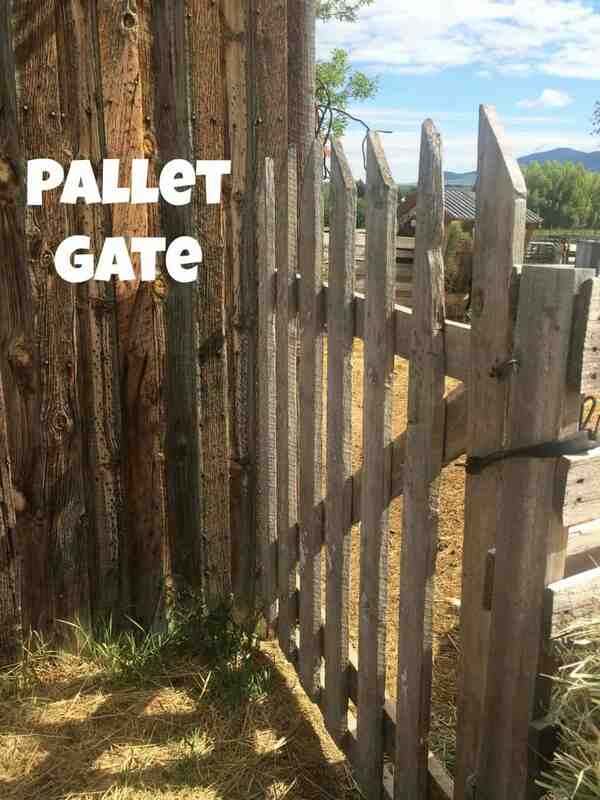 Another option is using 4×4 square posts and putting them in between each pallet and screwing the pallets to the post. This would be more permanent but would look really nice. Screw the pallets together. Screw the pallets together three times. Place Gates. 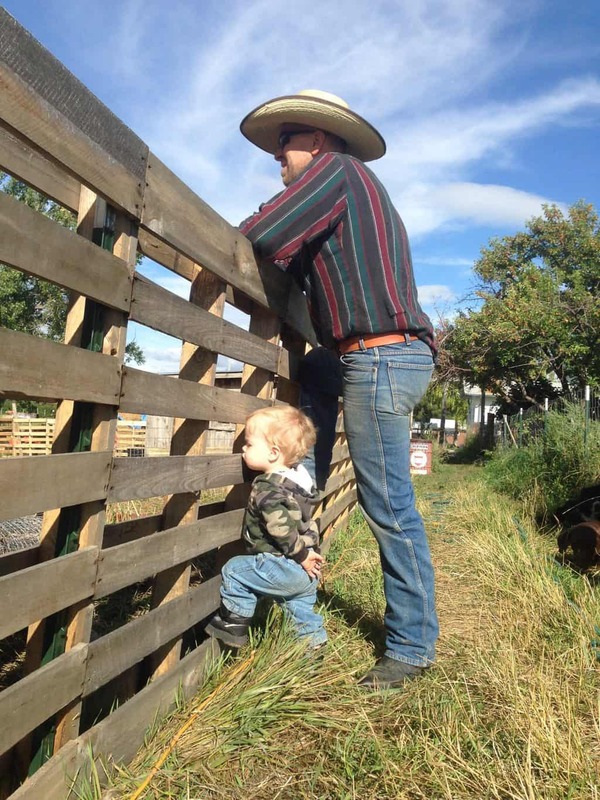 Hang your gates and double-check the latch will stay hooked despite prying lips, horns, and shenanigans. Follow this Pinterest Board for more great ideas. ** Always investigate the health of the goat's in the original herd. ** If you are also bringing home a buck, the fencing you have between the does and bucks should be put together well and secure enough to keep them apart. If possible, have a space between the does and bucks so they aren't directly over the fence from each other. 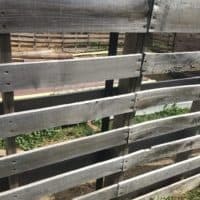 It seems to me that when a goat is in heat...and the tip of their nose can fit through a small space, they will be on the other side of the fence. Guaranteed. 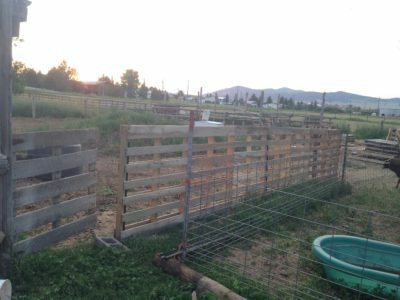 ** If you are bringing home goats to an established herd, always have a quarantine pen to keep the new goat(s) in for the first several weeks. ** Also think long-term, will you be having kids in the future? You will need a separate area to wean them, so think ahead and plan for it now as you build fences. 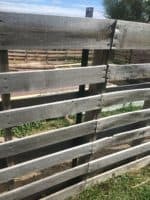 You can see in this next picture that we used cattle panels to hold our goats while we were putting up the pallet fence. And also follow this Pinterest Board for more great ideas! 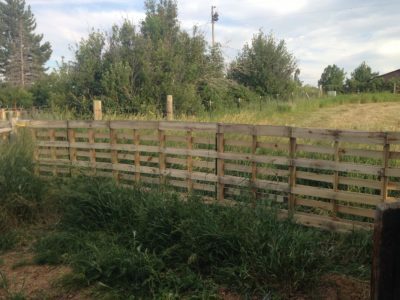 And you can read more about this brilliant fencing option and how others have made use of pallets as well. And here are several different pictures to give you more ideas! Check this article out too! FREE resources! Check them out below! Nice to see I’m not the only one using pallets! Mine are a different size though, so they have to be 1 and 1 half pallets tall to keep my Nigerian Dwarfs in. I would LOVE to find these larger ones though! Oh great! 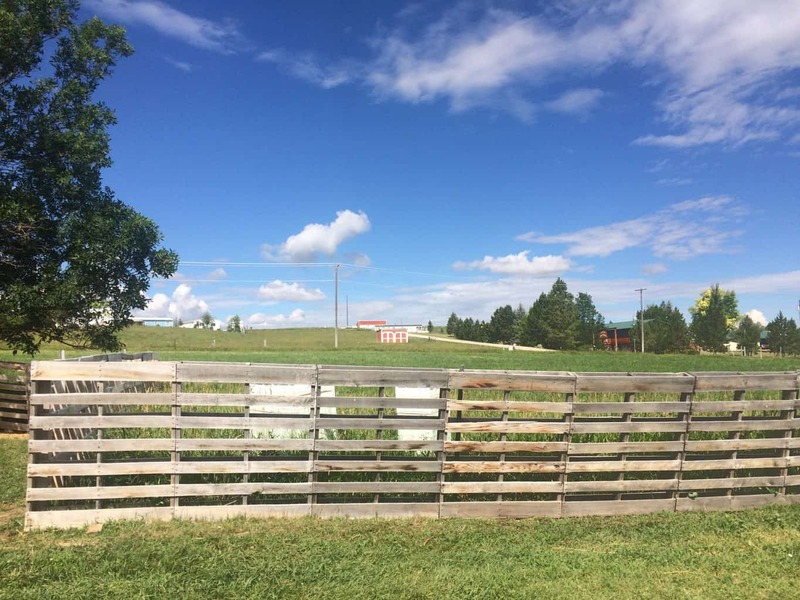 I’d love to see pictures–of the fence and goats 🙂 This size has been just perfect for us! It looks great and the ease of putting it together can’t be beat! 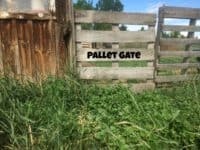 How big is the area that you fenced and how many pallets do you think you used?Thanks!